Turtles, birds, fish, beavers, and kangaroos are just like people--they need homes, and take up residence in unusual places. A simple main text introduces similarities between human and animal homes while sidebars detail the unique qualities of each animal and its home. Stylized yet realistic watercolor illustrations prove that nonfiction can be accurate and elegant, and readers of all ages will appreciate this layered narrative. 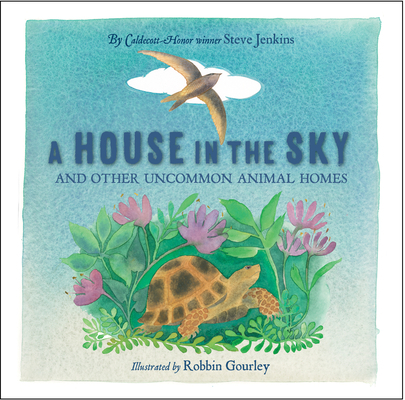 Steve Jenkins is the award-winning, Caldecott Honor author/illustrator of more than thirty books about the natural world for young readers. A few of his critically acclaimed titles include, Down, Down, Down: A Journey to the Bottom of the Sea; What Do You Do With a Tail Like This? ; and Eye to Eye: How Animals See The World. Robbin Gourley, is the author/illustrator of several children's books. She illustrated First Garden: The White House Garden and How It Grew and both wrote and illustrated Bring Me Some Apples and I'll Make You a Pie: A Story About Edna Lewis.